This past Spring, I had the great fortune of traveling to China with numerous UK faculty colleagues. There were so many interesting, yet unfamiliar and daunting experiences. I was awed and amazed by the Great Wall, and imagined what life must have been like when people roamed the endless steps and towers through their normal daily lives. There were places where the slope of the steps was negligible and climbing was easy. I barely had to pay attention to where or how I was walking, and discourse with others was relaxed. However, there were places where the steps were not adequately deep, forcing me to climb with only my toes to progress. In some cases, the rise of step after step was enormous, and I had to use of all four limbs and a lot of attention to the task to make the trek—truly demanding work. It occurs to me now these steps could be seen as a metaphor for the transition from high school to college—an unpredictable and variable journey. Having been a “big fish in a small pond” in my high school, I found the workload unremarkable, and my effort was commensurate. Getting an A in each class did not make me winded. But all of a sudden, there appeared in college a much steeper climb. Courses no longer required just the reading of a chapter by the end of the week, but the reading of a book and a reflective paper in that same span. There was no longer an emphasis on introduction, but a focus on depth, breadth and integration. While I found this challenge exhilarating, and stepped up my game, this new world view was daunting and presented a paradigm shift. Although early college days are long in my rearview mirror, I still remember the way I coped with this trial of increased volume and demand—networking and team-building. I intentionally reached out and met new people, studied with them, and learned with them. We tested the new waters as a team. We divided up the work, talked about each of our contributions, learned from one another, and solved problems together. We helped each other during triumphs and “face plants” as well, and somehow, we all made it—together. The task felt more manageable when others were facing the same challenges, had the same vision, and agreed to work through it step by step in a unified effort. Likewise, the accomplishments, when they came, were a shared victory and an award that made us stronger and more capable for the next challenge. 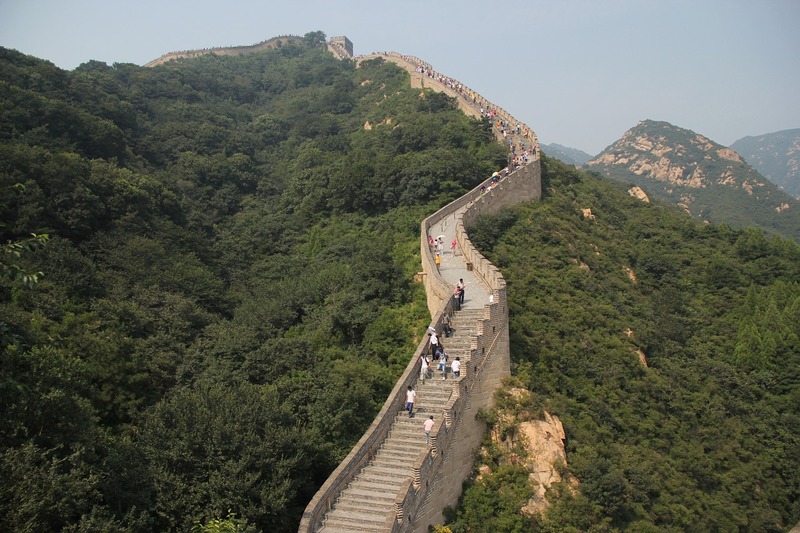 So as you’re climbing your Great Wall, don’t feel you need to be a weathered and independent traveler just yet. After all, in a tourist spot like that, there are thousands of friendships just waiting to be made, and so many worthy journeys to take!